Light in use and perfectly balanced, it allows high gloss effect of a large surfaces with great performance (ca. 1500 sqm an hour). 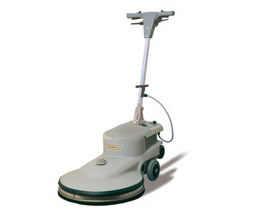 Model with working width of 430 mm and double speed -154/308 rpm- equipped with drive board, suited for many cleaning tasks such as: cleaning of very dirty floors. Model with working width of 430 mm, and low -154 rpm rotation speed, with a very strong induction motor for long life and great performances. No matter where you work, eventually the surface will need a deep cleaning. Instead of hiring expensive cleaning services for this heavy cleaning work, turn to Goscor for the solutions you need. Goscor provides a range of efficient single disc machines from Ghibli, one of the most trusted brands in the world. Each model from this Italian manufacturer provides a powerful solution that’s ready to glide through the most difficult dirty work. The range of single disc cleaners from Ghibli, provided by Goscor, are able to perform deep-cleaning, polishing, stripping, washing and crystallizing on a number of different surface types. 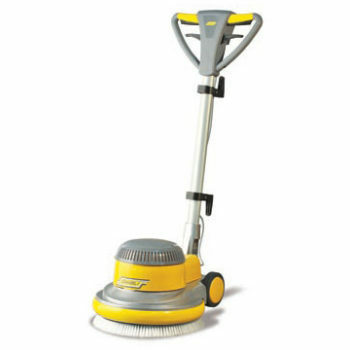 Use these machines to clean everything from marble, level cement, brick, stone, clinker, textile flooring and stoneware. No matter where you are or what you have to clean, these single disc machines can handle the job with ease. Choose from the Ghibli SB 143 Standard Speed and the Ghibli EN 143 TS Dual Speed models for a number of different cleaning tasks, including the most difficult heavy duty cleaning and maintenance cleaning of difficult surfaces like metallic wax. The Ghibli SB HS 1500 Ultra High-Speed model is a single disc waxing machine that can gloss surfaces at the rate of 1500 sqm per hour. It’s built to provide a perfectly balanced wax and has a built-in spray system that allows restoration of wax film if and when you need it. Since 1984, Goscor has been on a mission to integrate professional support and innovative solutions with world class products. They constantly deliver on this vision by always living up to their commitments. With eco-friendly cleaning solutions, equipment from the best brands in the industry, and a full range of genuine replacement parts for repairs, it’s no wonder that Goscor is a leader in the industry today. You can count on them for all of your industrial cleaning and servicing needs.